Accurate Automotive is neither a Honda/Acura franchised dealership, nor a used car lot. We market hand-selected, pre-owned Acura and Honda automobiles, and we are very proud of our selection. We keep a small but varied inventory on hand, and weâre sure that something we have will fill your needs. However, if there is a particular model you want, or if youâre looking for specific options, we can locate just the car for you from our extensive partner network. What sets Accurate Automotive apart is that we have built a reputation for quality, service and fairness among our customers. We want everyone who buys a car from us to recommend us to their friends, neighbors and associatesâ and we have been very fortunate in that regard. We owe it to a concerted effort on the part of our skilled and talented staff to make sure that every customerâs experience is a positive one. 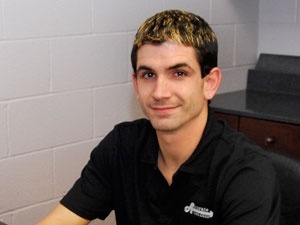 Born and raised in the Nashville, Tennessee area, Ed was educated at the Internationally-known Nashville Auto Diesel College, graduating in the top 10% of his class.He worked for several years for various Honda and Acura dealers, and was factory-trained in Honda and Acura repair. Never satisfied with the level of customer service or fairness franchised dealers provided, Ed started Accurate Automotive (first known as N1 Accord). Since that time, he has consistently earned a reputation for quality repair, genuine parts, and exceptional service.For this reason, customers return again and againâ¦..and they tell their friends! Besides overseeing the business, Ed continues as a service technician, building maintenance supervisor, wholesale auto buyer, automobile sales representative, and tow-truck driver. 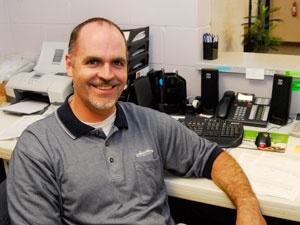 Originally working as a Service Technician and in Auto Sales from Murfreesboro, Troy has a long and interesting work experience that varies from construction to OTR truck driving prior to coming to Accurate Automotive (and boy, does he have some stories!) He has experience in several makes of foreign automobiles, but enjoys his work on Honda and Acura automobiles the most. 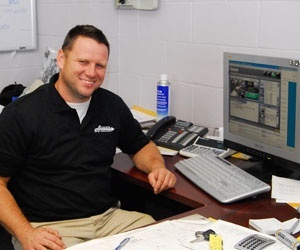 After working for a franchise dealer for ten years, Troy joined Ed at Accurate Automotive in 1998, and was the principal force keeping the business going during construction of the current facility in LaVergne, since Ed did a significant portion of the construction work himself. Tina is the wife of Accurate's owner Ed Brian. Raised in Nashville and familiar with the entire area, Tina has been a much-needed helper when Ed needed an extra hand (in the office, of course.) Familiar with all aspects of the business side of the facility, she keeps close tabs on the books, runs errands for supplies, runs herd on their two boys, and informs Ed when she wants to drive the Blue Acura NSX. In her spare time, Tina enjoys scrapbooking and cooking. Rachel grew up in Smyrna, Tennessee just a few miles from the current location of Accurate Automotive. She assists customers, manages the bookkeeping, answers the phone, monitors insurance programs, organizes the filing systems, and maintains confidentiality about such sensitive matters as Ed running out of gas in the tow truck. 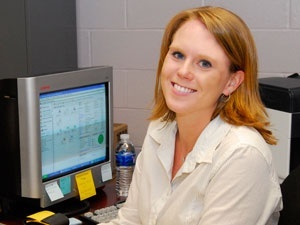 Rachel has a bachelor's degree in Finance with emphasis in Insurance from Middle Tennessee State University. Her sparkling personality and friendly manner are a great asset to the customer service goals of Accurate Automotive, and that fact that she drives a Honda made her a perfect addition when she joined the team in July 2003. Rachel enjoys running..... for sport, not after her young son, Alex.